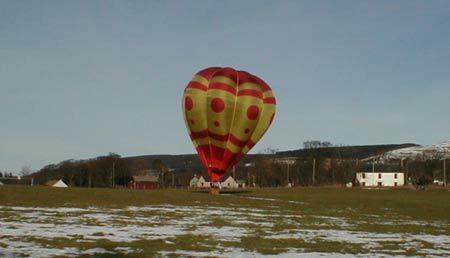 A hot air balloon on a pleasure flight landed in a field at The Lodge Farm today. It was piloted by Robert Worsman of Monymusk. He was accompanied by his young son Innes, and family friends Mrs Kathy Lane and her small daughter Alice. 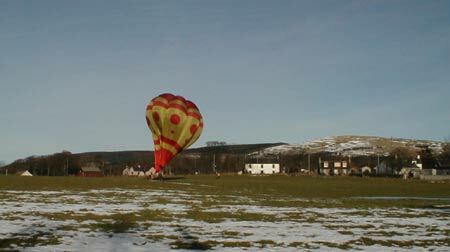 They had flown from Mossat in brilliant sunshine before making a controlled landing here and packing the balloon away. 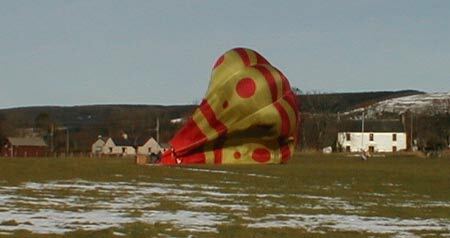 The photos below show the balloon being deflated and made ready for transport home.